Born from the union of a Quincy/Hollow and a Soul Reaper/Human, it’s no wonder that Ichigo was destined to be a main character. And he’s a typical brooding protagonist: few friends (at first), deceased parent, boring life. But after he gets his Soul Reaper powers, his world opens up. He gains new friends and allies, and fights to protect them. Except that’s just about it. Ichigo’s main drive is purely to protect everyone. Unlike Natsu and Naruto, he doesn’t have a secondary motivation, and while that doesn’t detract from his character development, it does leave him feeling a little bit flat at times. Orphaned at a young age and raised by a member of another species, vague parallels can be seen between Natsu’s backstory and Tarzan....if you replace ‘monkey’ with ‘dragon’. Finding himself in a guild full of mages, he goes on to become one of the most powerful wizards in the series. However, whilst he’s funny and engaging, he receives virtually no character development, and the one lesson that he does learn is completely forgotten a few chapters later. Given that most of his fights involve the strategy of ‘attack them, talk to them, attack them, talk to them’, and the fact that he seems to be the only one who can defeat every arc villain, his character can get quite repetitive at times. 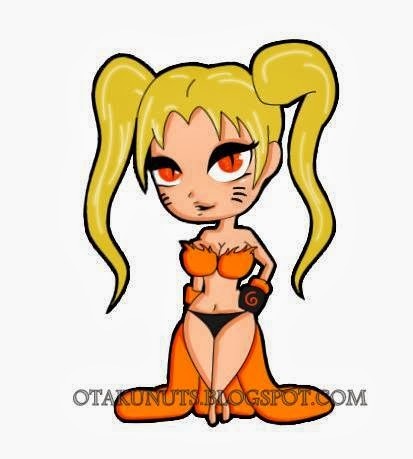 Another orphan, Naruto was hated by almost everyone in his village as a result of having the Nine-Tailed Fox forcibly sealed inside him when he was just a baby. Despite this, he managed to make more and more friends as he matured, eventually being recognised as a hero by his entire village. He has arguably undergone the most character development out of the three protagonists, and it’s done in a subtle, understandable way. However, every single fight he has been in has ended with either him winning or his opponent escaping. This fact has the potential for some people to view him as boring and invincible, whereas others can come to see him as a messiah-like figure. In many ways, the antagonist can be as important to the series as the protagonist. If the villain is pathetic or ineffectual, the entire series can take a hit. Other times, the bad guys can be better than the good guys. Evil is cool, after all. At the start of the story, Aizen seemed like the nice guy. With his calm demeanour, polite personality and the kindness he showed to everyone, he was like the Clark Kent of Bleach. He even had the glasses to match! But then he died. Except he didn’t. He faked his death, stole the most powerful artifact in history, created a huge army and tried to wipe out the Soul Society. 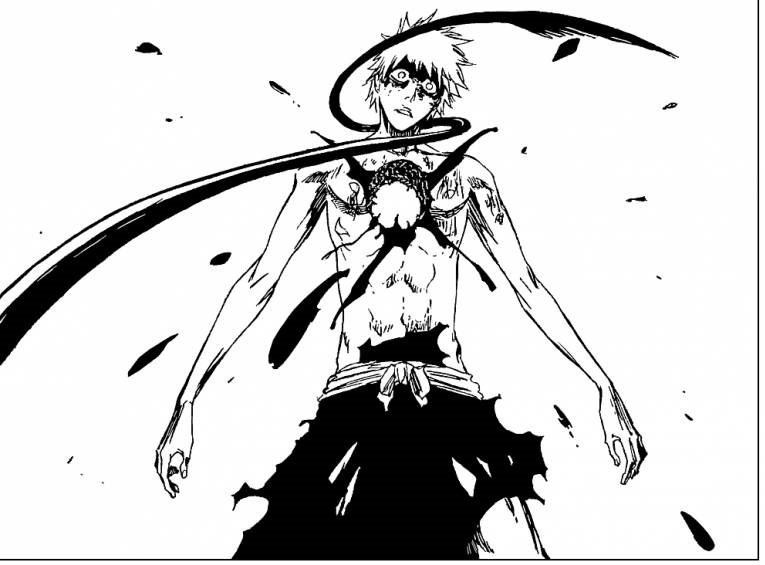 He became so overpowered, even Ichigo couldn’t kill him. He had to be sealed away by Urahara and locked up in solitary confinement. Aizen’s main personality trait is his intelligence – he planned pretty much everything that’s happened in Bleach so far, and (save for one small detail) everything went exactly as planned. Coupled with his ability to create near-perfect illusions, he was a pretty formidable villain, and it’s a shame he seemed to substitute his cunning for sheer power during his final battle. Fairy Tail doesn’t really have a major villain to speak of; every arc seems to have its own self-contained bad guy. But seeing as Zeref has been related to almost every other villain (directly or indirectly) it could be said that he’s the main bad guy of Fairy Tail, despite only appearing in one arc. Except, he doesn’t actually seem like that bad a guy. He keeps to himself, tries not to hurt anyone and even exiles himself to a deserted island to stop anyone from dying due to his magic. However, at the moment he stops valuing human life, he goes psycho. In fact, out of the five major deaths in this series, Zeref caused two of them (albeit one was unintentional). But when he does value human life, he’s so shy and peaceful that everyone’s maternal instincts would kick in. Madara and Obito’s actions influence each other so much; it’s hard to tell who the real main villain of Naruto is, so the two Uchihas will be judged as one. When Madara and Hashirama founded the Hidden Leaf Village, it seemed like the start of everlasting peace... until Madara threw a fit when he realised he wasn’t going to be Hokage. He then spent years trying to destroy the Leaf Village, but was defeated by Hashirama each time. When he was an old man, he saved Obito from death and convinced him to carry out his master plan, which he had spent years thinking up. Eventually, Obito managed to summon the Ten-Tails, and Madara was brought back to life as an immortal zombie, and they proceeded to wipe the floor with the Allied Shinobi Forces. The dynamic between the two Uchihas is interesting, as you never know which one of them is using the other. Also, their personalities couldn’t be more different – Obito is an emotionless, stoic man looking to control the world, whereas Madara is a battle-seeking maniac looking to fight the strongest person he can find. A good plot is essential to success. The more vibrant and detailed the backstory and setting is, the more enjoyable the manga is to read. Most of the time, the bigger the scale of the story is, the better it will be. The story of Bleach starts out fairly simple: an ordinary high-school student gains the power to see corrupt souls, and decides to fight them in order to protect his family and friends. However, the scope quickly broadens out and the stakes become a lot higher, especially when Aizen leaves the Soul Society, and again when Yhwach and the Vandenreich invade. Sadly, the plotlines seem to fluctuate, from gripping (The Thousand-Year Blood War arc) to ‘oh-my-god-why-did-they-publish-this’ (The Fullbring arc). The constant call backs and references to past events are a nice touch, though. The plot structure in Fairy Tail follows an odd layout, in that every arc seems very self-contained. There are a few plot threads that continue throughout the story, but you could read the first arc, then skip ahead to the sixth arc and still understand 97% of what’s going on. The downside is that you don’t feel like you’re getting a proper story the way you do with Bleach and Naruto. Whilst the threat level certainly increases in every arc, the fact that the overall story feels disjointed and clunky works against Fairy Tail. Although the setting can be somewhat contradictory at times (for example, they have radio technology, so why do they still use carrier pigeons? ), Naruto has a plot that flows smoothly from arc to arc. On the other hand, it is a slow starter. It takes until halfway through the third arc for the story to really get going, but once it does, it keeps going at a steady pace. The danger rises for each arc that passes, until the most recent arc has the entire Allied Forces fighting to save the world from two very messed up people. Or alternatively: She died. Everything went to hell. One of the most basic tropes used in storytelling, and often one of the most effective. Every series has at least one twist, and these range from ones no-one ever saw coming, to ones that didn’t really seem that shocking. As I said before, Aizen seemed like the definitive nice guy. So it was definitely a shock when we saw his body hung up on the wall like a piñata. It was even more of a shock when we found out that he was actually alive, and the shock rating got even higher when he stabbed Momo and revealed to the Soul Society that yes, he was evil, yes, he had the Hogyoku, and no, there was nothing they could do about it. To hammer the fact home, he took out six characters before leaving for Hueco Mundo via a pillar of golden light, taking two other traitorous Captains with him. Say what you like, Aizen knows how to make an impression. Whilst nowhere near as shocking as Aizen’s reveal, the revelation that Zeref, who was last heard from 400 years before the story started, is still alive is something that surprised many a reader. Of particular note about this reveal is the fact that it rendered a previous arc completely pointless, as the Tower of Heaven would have had no purpose. Sadly, this reveal just wasn’t enough, as it provoked a reaction somewhere along the lines of ‘oh, ok’. Since Tobi was first introduced, theories about his identity flew across the internet, ranging from plausible (Shisui Uchiha) to unlikely (the Sage of the Six Paths) to borderline insane (a future incarnation of Shino Aburame (I’m looking at you, Shiggins)). 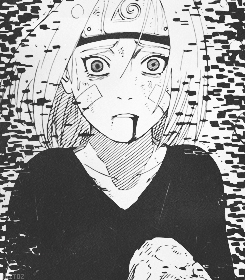 The clues that were dropped in the series were few and far between (a Sharingan here, a glimpse of some wrinkles there) and they provided much speculation until Naruto shattered the mask to reveal Obito Uchiha (and the subsequent understanding that the wrinkles were in fact scars). However, before the big reveal more and more clues were dropped until it became a foregone conclusion that it was Obito under the mask. The fact that the chapter containing the reveal was called ‘Obito Uchiha’ didn’t really help matters. In any Shonen manga, there are lots of fights (with the possible exception of Death Note, depending on what you classify as a fight). Consequently, everyone has a wide range of choice when it comes to picking their favourites. However, not every fight is about spectacle and flashy effects (although they are pretty cool). It’s a bold claim to say that a fight has everything, but this one seems to pull it off. Plenty of action? Yes. Death? Definitely. A superpowered evil side? Oh yes. Fighting on the rooftop of a ruined building at night? Yup. Character development from one of the most stoic characters in the series? Check. The fact that Ichigo even died in his final fight with Ulquiorra was a surprise, as was the Bleach equivalent of Batman (pun intended) finally finding out what the heart was just as he dissolved into nothingness. Don't worry, he got better....sort of. 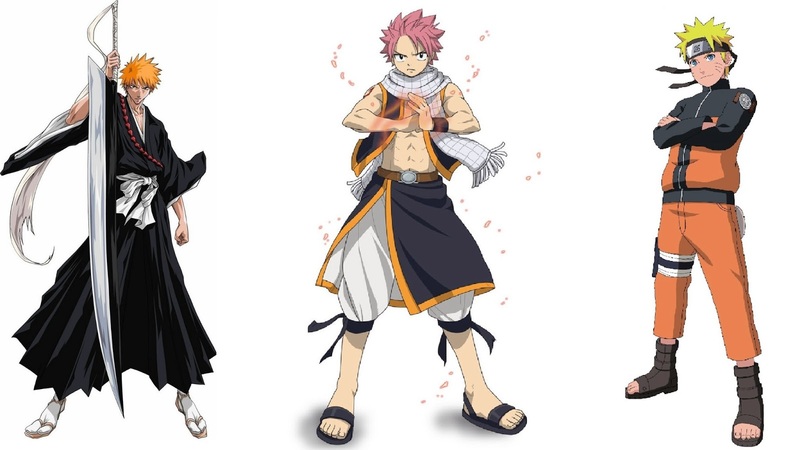 Ever since Sting and Rogue’s first appearance, everyone was waiting to see them face off against Fairy Tail’s most powerful Dragon Slayers. Surely Natsu and Gajeel would have their hands full fighting two third-generation Dragon Slayers? Nope. 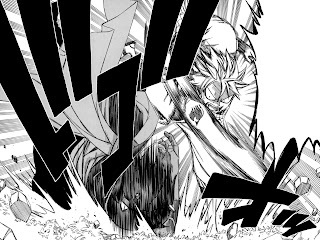 Even when hit by their most powerful attacks, the worst injuries Natsu and Gajeel received were stiff necks. To make things more interesting, Natsu forcibly removed Gajeel from the battle in order to fight Sting and Rogue himself. Although it was a 2-on-1 battle, Natsu wiped the floor with the two third-generation Dragon Slayers. To add insult to injury, he didn’t even use the Lightning Flame Dragon mode. It was also pretty funny to see the two arrogant Dragon Slayers get beaten with so little effort. Whilst this isn’t the showiest fight in the series (it might not even crack the top three), the reason I chose this fight is mainly due to the amount of character development Neji receives as a result of his loss. He goes from being a smug, arrogant jerk to being a decent, likable character who was willing to sacrifice himself to save Naruto from the Ten-Tails’ attack. Also, this is the first time Naruto uses his head in a fight, and manages to trick Neji into thinking he’s won before Naruto beats him with a well-timed uppercut. The remaining five categories will be posted up tomorrow, along with the final scores. I'd like to comment about your quote:"Some are born great, some achieve greatness, and some have greatness thrust upon them." Aside from being incorrect, (Ichigo was clearly born hax, Naruto was born into a clan and being the child of a Hokage, and from what I've read, Natsu doesn't train. ), that is actually a Shakespeare quote. The quote is not a comment about other great people, but in fact is a boast by a character to say how great he is. I'm still reading Fairy Tail, will catch up eventually to evaluate the series.